Two interstellar armies continue their 150-year-long war. On both sides, mid-ranking soldiers question the judgment of their superior officers and worry about the future. Various people, especially two rising commanders, cope with a massive continual space conflict between two interstellar nations. A teenage boy must fight in an interplanetary war as the only available pilot to a revolutionary new giant battle robot. 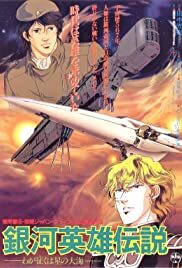 In the war between the Earth Federation and Zeon, a young and inexperienced crew find themselves on a new spaceship. Their best hope of making it through the conflict is the Gundam, a giant humanoid robot, and its gifted teenage pilot. Having faked his death at the cost of his friend, Édouard assumes the role of Char and undergoes training as a Zeon soldier. Space battles set to Bolero, what more could you ask for? This is an excellent film that should get anyone who reads science fiction (or watches it) interested in the series. The scale of the setting is epic and the use of classical music (real masterpieces ala Mahler, Mozart, Beethoven, etc, etc) gives it an integrity that I find lacking in a lot of anime with cute pop songs and even cuter characters. There's nothing cute about this one; the series centers around a war and depicts it graphically. If you look real closely, you might pick up on some ideology and social commentary while you're at it.